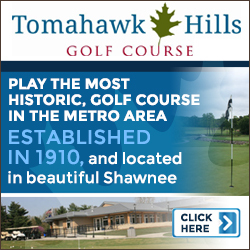 One of Kansas City’s best golf values is Hodge Park Golf Course in Kansas City, Mo. The 5707-yard course (from the white tees) is not long, but there are plenty of challenges, with lots of risks and rewards. A smart player has a good chance to win over a masher. The best example of that is the 10th hole. The 371-yard par 4 is actually much shorter as the crow flies. But going for the green is not a wise idea. In fact, probably the best play is an iron off the tee to a little right of the middle of the fairway that leaves a 150-yard shot to a wide-open green. But most golfers won’t take the best angle, instead opting to cut the corner. Thick brush to the left makes it impossible to see the green, and difficult to find your shot if you don’t clear the trees to the narrow fairway beyond. Even muscling up will leave you a difficult approach because of woods on the far side of the fairway. Hodge Park has been part of the community since 1973. There are plenty of elevation changes, especially for a course in the Midwest. The fairways are green and lush, and the greens are smooth and fair. Underwood says that they use creeping bent grass on the greens, which tends to heal more quickly than most bent-grass greens. One of the reasons the course is in such great shape, according to Underwood, is that his team works really hard. He’s been there for 17 years, as has most of his staff. Consistency in the staff really makes a difference. “Every golf course has personality,” he said. “If you stick with the same staff, you can get some pretty good results, because they know and can attack the problem areas.” And having a standard maintenance routine allows them to be a step ahead of the trouble, instead of just reacting. With the 18-hole course measuring significantly less than 6,000 yards, it’s no surprise that there are plenty of short holes. There are three par-4s under 300 yards, and all the par-4s but one are under 400 yards. But nearly every “short” hole has major punishment if you’re not perfect with your drive. For example, hole 6 is 269 yards on the scorecard. It’s mostly downhill approaching the green, with the green uphill a little from the lowest spot. But first-time players may not realize that there’s a lake at that lowest spot, a lake which stretches from the rough on the left to the trees on the right. If you hit your drive between 220 and 240, you’re wet. If you’re right or left, you’ll risk losing your ball in the rough. Even if you drive the green, you’d better have some back spin, because prairie grass behind the green has an insatiable appetite for golf balls. The greens are relatively large and flat, appropriate for the shots that are expected to land there. Hole 1 has a large green, because most golfers will require a long iron or a fairway wood to reach it on their second shot. The green on hole 2 is smaller, because a driver and a wedge will get you there, and most golfers have better control of their wedge. 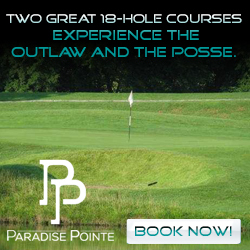 The course is designed for the average golfer, which has served Hodge Park well over the years. Underwood says that once golfers consistently shoot in the low 80s or high 70s, they’ll move on to longer, more-challenging courses in the area, like neighboring Shoal Creek, also owned by Kemper Sports Management. But there are plenty of golfers for whom Hodge Park is a perfect fit. “It doesn’t play 5,700 yards,” Underwood said. “We have a lot of meandering dog-legs, which makes it play tougher. The only really drivable holes are 6 and 14 for your regular player. 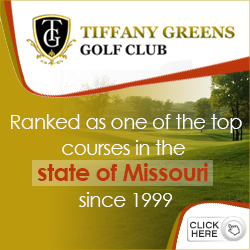 The greens fees are very reasonable, fitting for a course designed for the casual golfer. 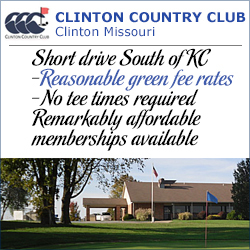 Daytime fees are $24 walking and $40 riding, and the course is walkable for most golfers. Weekend rates are $28/$44, with senior rates (over 60) $18/$34. 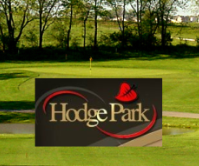 All the rates are available at the course’s web site: hodgeparkgolf.com. Hole 10 certainly is a signature hole for Hodge Park, but it’s not the only one. How many courses do you know where there’s a large tree positioned at 180 yards off the tee right in the middle of the fairway? Hole 15 has that, which hides the fact that the northern edge of a large lake that meanders through the course juts into the fairway. If you go around that big tree to the right, you’re wet again. Another hidden tree behind the first one makes approach shots difficult because you have to elevate quickly to get over it. The only safe tee shot is to the left of the big tree, leaving a high loft approach to the elevated green. Hodge Park has a very inviting 18th hole. It’s more of a bend to the right than a dog-leg. The cluster of trees in the right rough blocks your view of the green from the tee box. But other than that, those trees don’t affect shots. A nice fade (for righties) that starts left will leave an easy approach to the large green. But at 277 yards there’s a tug on the ego to try and drive it. Underwood has a word of caution if that’s your choice. “You can drive it all the way to the green if you’re long,” he said. “In a match yesterday, I just hit an easy drive short of the green. My opponent tried to hit it hard and he hit it into the gunch on the right. He lost his ball, and the match.